I had enough of my bangs and frizzy hair. Finally got a chance to visit Preston (Hair Addicts) @ TPY Hub! So thankful for Preston! Seriously, it’s really nice to have a friend who takes good care of your hair. 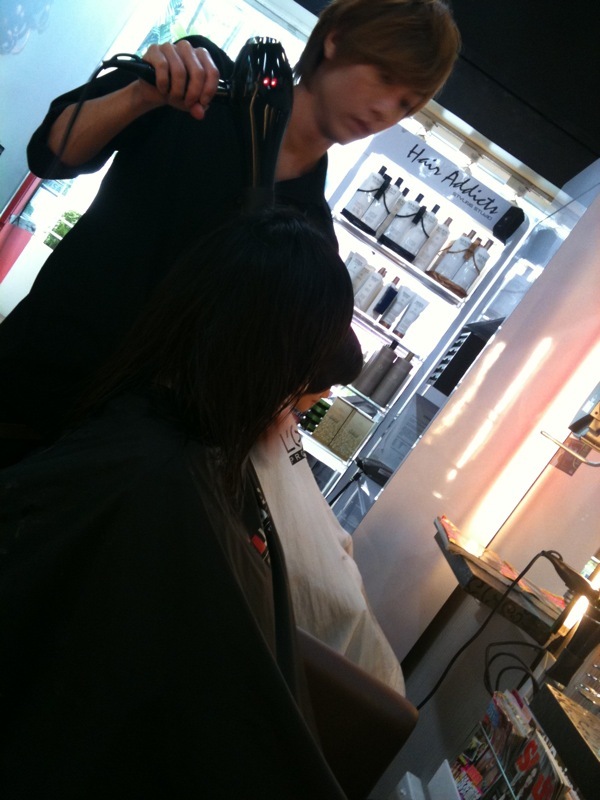 “Trust your hairstylist, have faith in them” – Pst Tan. Haha, I know I am in good hands. 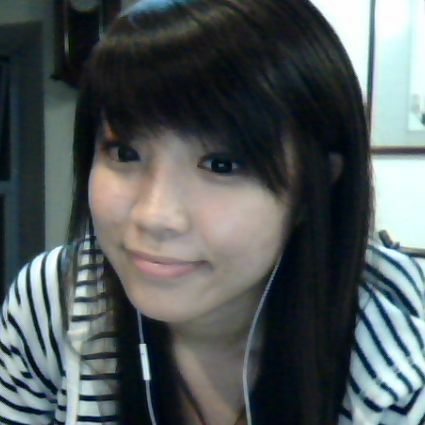 The last time I had a haircut was in NZ, came home with bangs and super thick hair (machiam like lion). -_-|| Even my mom couldn’t stand my hair anymore, she was the one who kept prompting me to go for a haircut. Haha! I always wanted to do highlights ever since Preston did a purple strand highlight during my last visit. It was so good, I am blown away. I told myself, the next time I return, I will definitely go for highlights. And, here I am, with lavender brown hair and blue highlights! hahas! Oh oh, I soft rebonded my hair too! Woots! I almost wanted to buy a straightener, because of Em! hahah, she got me so hooked on using a straightener when we were in Brissy. HEHE! Now that my hair is long and straight, I can use the money to get my jacket instead! Oh, I forgot to mention this. I saw the perfect leather jacket again in Berskha! OMGTIAN, I was so thrilled when I caught it in the store. I remembered telling Em that I MUST get that jacket before I leave for NZ, and sadly, it was sold out when I went back. NOW NOW NOW, I certainly must get my hands on it. Okay, I think you guys must be DYING to see my new hairdo. hahah, I kid abt the dying part. The difference is not really obvious from the pics.. you must see it for yourself. Coooolnessssss. Ahaha, but I don’t think it can ever be as cool as @waylean. Hers is the bomb. 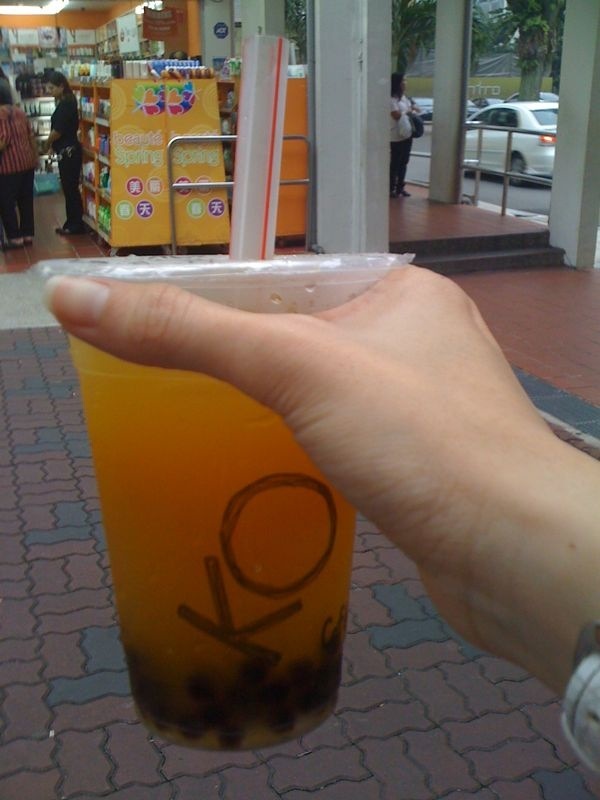 Passionfruit Aiyu from KOI to kick start the fabulous day! For that moment, I thought I took this. My Frizzy Hair with Bangs. Something caught my eye when I was browsing through those mags… Ta-Dah! Don’t you think JianHao looks like him? Like seriously, there is some resemblance there. If you looked carefully, I finished my KOI already. =( And this is just the 1st stage of my 6hrs process…. Preston doing my mom’s hair! Preston said the blue highlights will turn from Blue to Purple to Ash green to Pink with time. 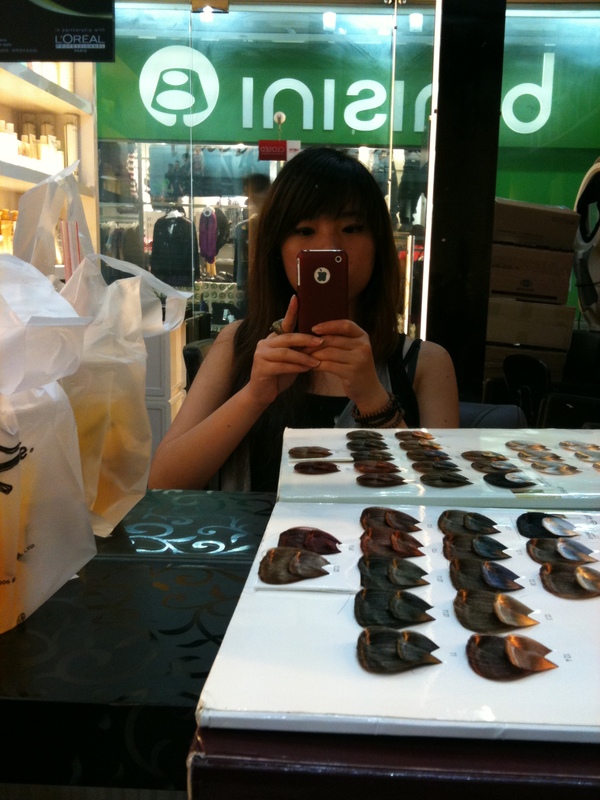 I was like woahhhhh, cooool… hahaha, which means I will have new hair color every month! Yay! Haha! P. S. : To my beloved uni friends! SORRY for not turning up for dinner tonight! Miss you all lots, really! And to Prof Steve, THANK YOU FOR EVERYTHING! Hope you had a great dinner! hehe, I hope they brought to eat nice Laksa! 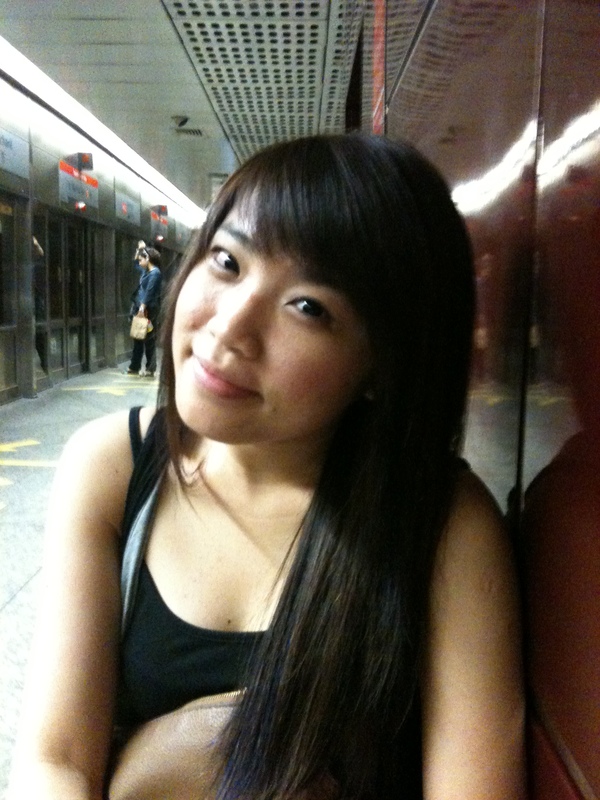 P. P. S : If you wanna look for my hairstylist (Preston), go to Toa Payoh Hub’s Hair Addicts. It is situated opposite Ya Kun and very near to KOI. 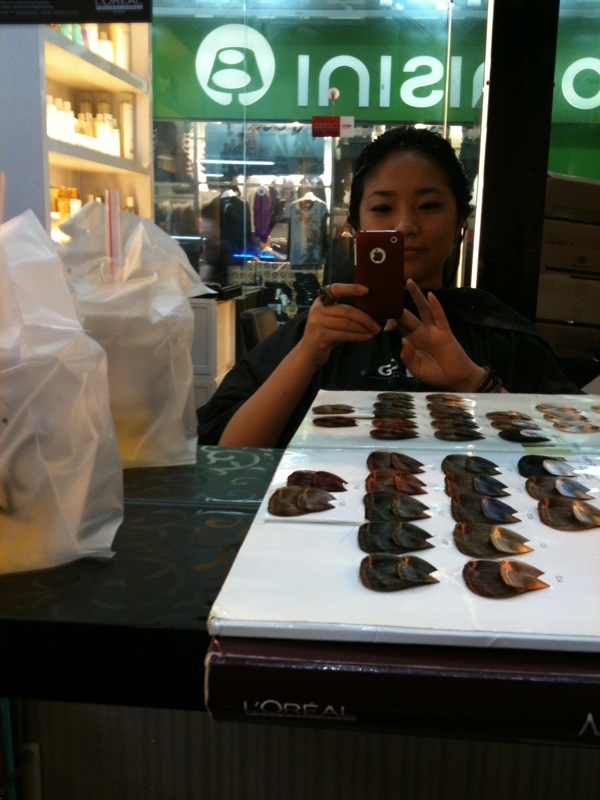 Haircut is about SGD 15 – 20, Soft rebonding is ard SGD100, Dye & Highlight is about SGD80. 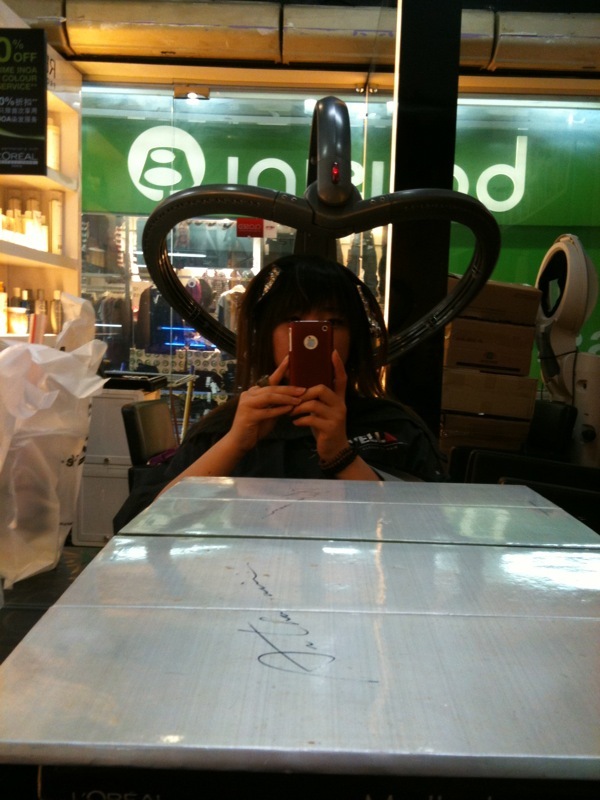 While searching online, we came across your blog commenting on Hair Addicts at Toa Payoh. Let us know 🙂 and hope you have a great week ahead.